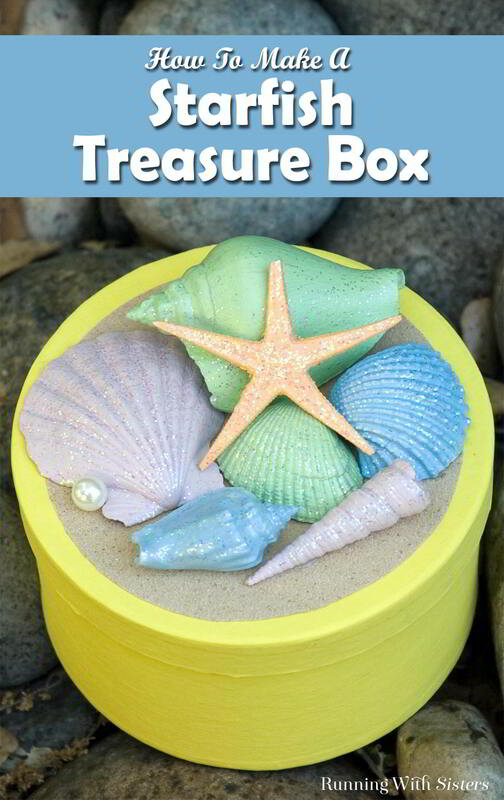 Make a beachy Starfish Treasure Box with glittery shells from the sea. Go for a beach walk and gather your shells, then paint them and glitter them to top off a little treasure box. Fill your Starfish Treasure Box with more treasures from your summer! 1. Paint the craft box and let it dry. 2. Paint the seashells yellow, blue, green, and pink. Paint the starfish orange. Let them dry. 3. Paint the seashells and the starfish again with the glitter paint and let them dry. 4. Cut a circle out of the sandpaper a little smaller than the lid of the craft box and glue it onto the lid. 5. 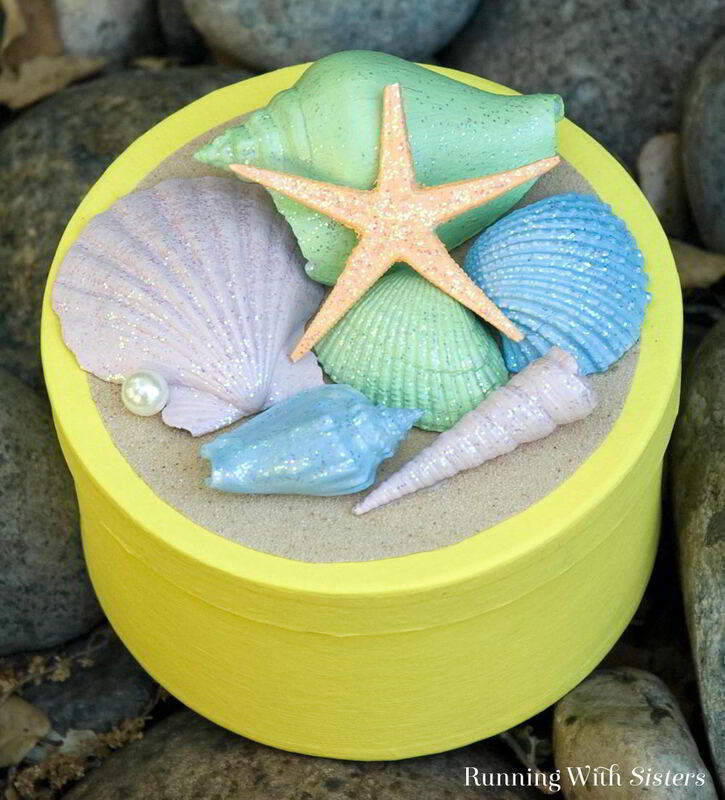 Arrange the seashells, starfish, and pearl onto the lid of craft box and glue them down. Then place your summer treasures inside! She Sells Seashells: Use shells from your trip to the beach, or buy some at the craft store. Cute,cute,cute. Have pounds of new shells and a cheese box. Will be perfect for my granddaughter. Going to try ASAP. What fun Deborah! Great craft to do together!